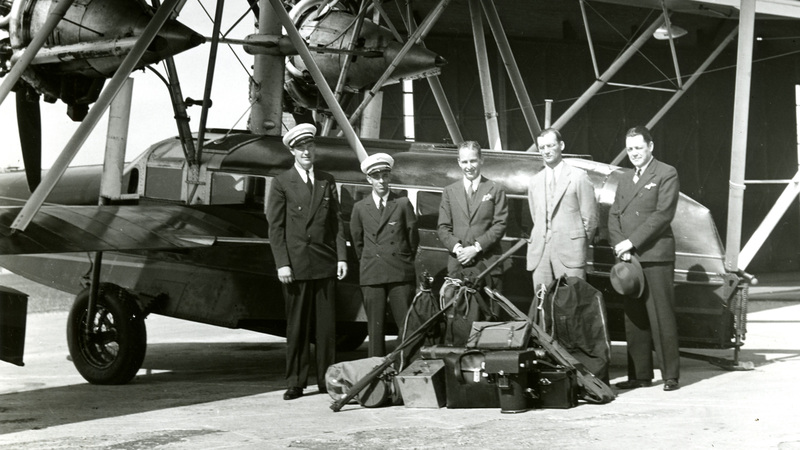 In 1935, H.F. Johnson, Jr. took off on a 15,000-mile expedition to Brazil and back. His goal? The carnaúba palm and its wax. Throughout our history, SC Johnson has encouraged curiosity and conscientious risk-taking. We never stop looking for new ways to improve, because we believe it takes more than just smarts to succeed. It also takes guts. That is an attitude we learned, in part, from our third-generation leader, H.F. Johnson, Jr. As just one example of his bold decisions, in 1935, H.F. took to the sky, flying 15,000 miles round trip to visit northeast Brazil. He was seeking the company’s most precious resource at the time: the carnaúba palm. "He Seeks the Tree of Life"
What made the carnaúba palm so compelling for H.F. Johnson, Jr.? His son reflects on the trip in this clip from the film Carnaúba: A Son’s Memoir. The leaves from the carnaúba palm are the source of the world’s hardest wax, the key ingredient for nearly every SC Johnson product at the time. Demand for SC Johnson products was growing rapidly. If the company was going to survive, we would need a steady supply of the palm. Beyond the wax, the palm’s leaves were used to thatch roofs; its fiber was made into rope, mats and brooms; its leaf stems were woven into baskets and window blinds; its trunks sawed into beams for homes; and its roots used for medicine. It was aptly called the “Tree of Life” by the Brazilians. H.F’s team included four others: J.A. Hoy, co-pilot and radio operator; E.H. Schlanser, pilot; R.P. Gardiner, Purchasing Agent; and J.V. Steinle, Research Director. They set off from Milwaukee Airport in a small, amphibian airplane. The Sikorsky S-38 was known to be the safest aircraft of the time since it was a twin-engine plane but could maintain itself on only one engine if needed. This trip, however, was anything but safe. Satellites had not yet been invented and people rarely flew such ambitious distances. H.F. and his crew often went long stretches without seeing a soul. But H.F. loved the adventure. Sam recalled childhood stories of his father’s adventure – stopping in Cayenne, where H.F. met murderers from Devil’s Island, and the time a crowd on the shore began screaming at the team because they were wading in water full of piranhas. All told, the trip covered 15,550 miles over Cuba, Haiti, the Dominican Republic, Virgin Islands, Antigua, St. Lucia, Trinidad, British Guiana, Dutch Guiana and French Guiana, and then Para, Maranhaa, Amarracao, Camocin and finally Fortaleza, Brazil, and back. The total air time was 168 hours, and the plane traveled at an average speed of 96 miles per hour. 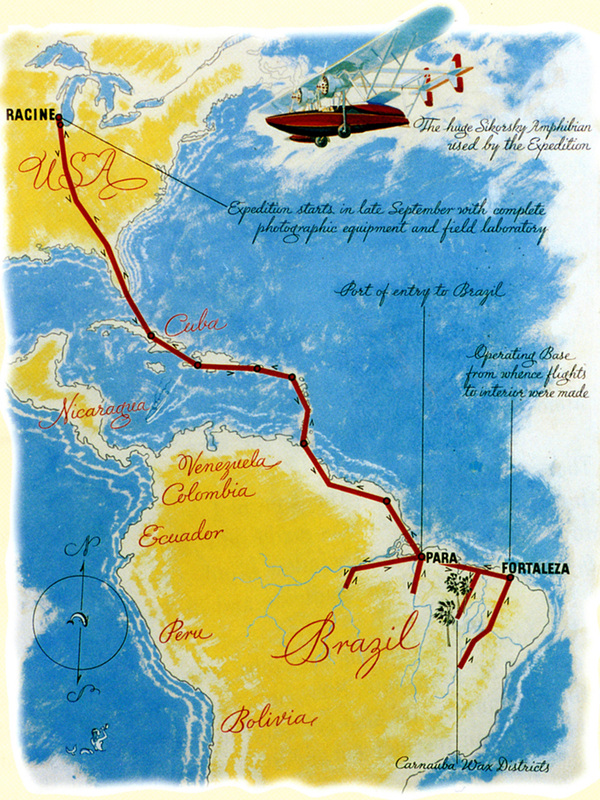 The 1935 expedition traveled over 15,000 miles from Wisconsin to Brazil and back. In Fortaleza, H.F. wanted to establish a research centre where SC Johnson could grow and study the carnaúba palm while looking for more efficient ways to harvest its wax. The manual process used at the time to harvest carnaúba wax involved shredding the palm leaves by whipping them across a stand embedded with knives, and then beating them to make the freed wax fall off. A person could process only 1,000 leaves a day, and about half the resulting powder was contaminated with debris. H.F. knew advances could be made. Our research centre, established in 1937 and named Raposa, became a hub for extensive research and development about the plant, its harvesting methods and refining of its wax. We developed new ways to process the leaves, and enhanced the cultivation of the palm to create trees that were faster growing and had higher wax yields – insights that were shared with local farmers as well. 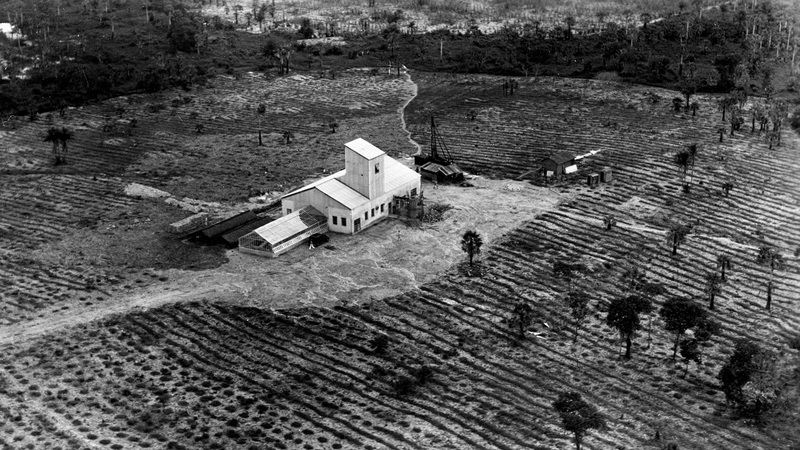 In 1970, Raposa was donated to the Escola de Agronomia of the University of Ceará. The thousands of carnaúba specimens cultivated there laid the groundwork for years of continuing study and preservation of these amazing trees. LEFT : Harvesting leaves from the carnaúba palm. RIGHT : The Raposa research centre, founded by H.F. Johnson, Jr. in 1937 in Fortaleza, Brazil. TOP : Harvesting leaves from the carnaúba palm. BOTTOM : The Raposa research centre, founded by H.F. Johnson, Jr. in 1937 in Fortaleza, Brazil. H.F. returned home to Racine, Wisconsin with a renewed purpose. He would lead the company through marketing triumphs, hire Frank Lloyd Wright to design our headquarters, launch innovative employee benefits and more. But the journey remained with him. Capturing its stories in a book for his family, he wrote to his son, Sam: “I hope you make this trip some day. It changed my life.” His words led Sam to his own Carnaúba Expedition sixty years later. And the wonder of both those expeditions continues to inspire us at SC Johnson today. Before H.F. passed away in 1978, he had one final request: He wanted the carnaúba leaf carved into his tombstone. More than a plant, the leaf had come to symbolise the values that H.F. prized so highly and for which he is gratefully remembered.